This product is applied by a trained professional and stabilizes injuries. Kineso Tape or RockTape is a rehabilitative technique that is used in our office to facilitate the healing process. 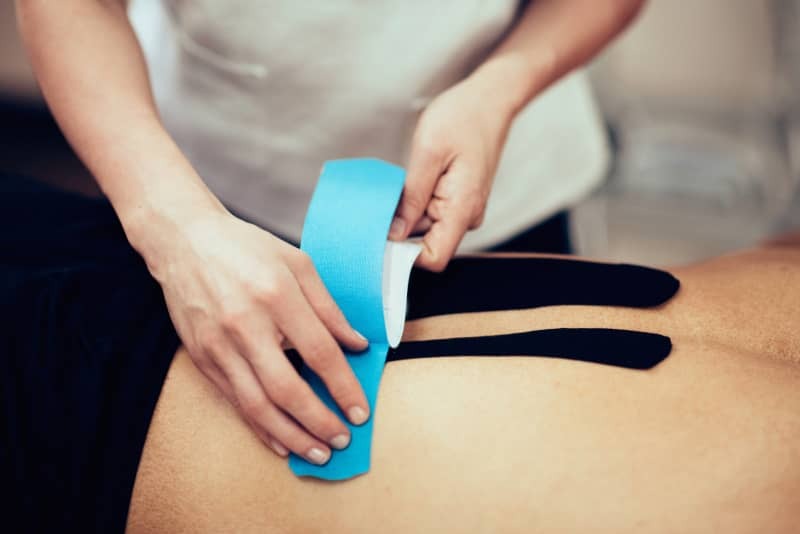 The taping process is designed to provide support and stability to the injured muscles or joint without compromising their range or motion or function. In our office we use this technique as an acute injury healing and rehab tool. When a patient visits our office for care, they will be evaluated for their complaint, and an exam will be performed. On their second visit a care plan will be presented to the patient. If Dr. Vann feels that you would benefit from the effects of Kinesio Tape, she will make this recommendation to you at that time. But please if you are curious, or have any questions, or if you would specifically like to be evaluated for a Kinesio taping we would be happy to discuss this with you. Please give us a call or contact us below.